The world has to be fair to address the Armenia-Azerbaijan Nagorno-Karabakh conflict with decisiveness and sincerity, Abdulaziz Othman Altwaijri, Director General of the Islamic Educational, Scientific and Cultural Organization (ISESCO), said at the 6th Baku International Humanitarian Forum in Baku. “You cannot achieve peace and security in the world while people occupy other people’s land. This is against the international law, the teachings of religions, and all the noble ethics and morals,” he said. Altwaijri added that international law must be applied to solve the problem. “Not only the words, because the world is now full of agonies and problems – in Palestine, Nagorno-Karabakh, Jammu and Kashmir, Myanmar. 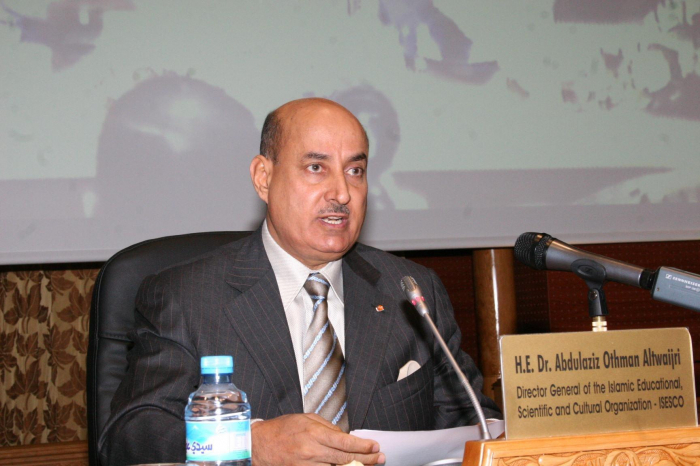 Many people are suffering, witnessing misery and going through difficulties, and the world is just witnessing and giving them nice words and some assistance,” the ISESCO director general noted. He stressed that it is impossible to have a safe and secure world without applying justice and international law. “This is a must, we have to acknowledge it and work for it. This forum is a step forward to achieving this,” Altwaijri said.